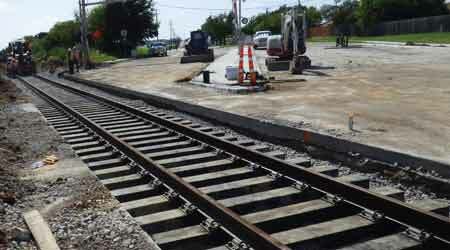 Vossloh recently installed fastening systems and Rocla concrete ties for the Trinity Railway Express in the Dallas-Fort Worth area. Photo – Rocla Concrete Tie Inc. Although some Class Is may have scaled back plans for track repair and replacement work over the past year, concrete- and composite-tie suppliers say they’re observing steady maintenance-of-way (MOW) activity among passenger railroads. For example, MTA Long Island Rail Road (LIRR) late last month began replacing wood ties with concrete ones on the Babylon Branch between Freeport and Merrick, New York. The railroad slotted $75 million for its total 2017 MOW budget, marking a more than $10 million year-over-year increase. This year, LIRR is executing two concrete-tie programs. "There are many opportunities in the market, especially in transits, where [our company] has long been a strategic partner to commuter lines along the Northeast Corridor," Rocla officials said. "There are pending transit projects throughout North America with concrete tie infrastructure that we expect will proceed in 2018." Vossloh recently provided fastening systems and Rocla concrete ties for Trinity Railway Express in the Dallas-Fort Worth area. L.B. Foster Co. subsidiary CXT Inc. has been busy in Texas, too. Last year, the company received an order for 80,000 concrete ties for the TEX Rail commuter-rail project, which will run from downtown Fort Worth to Dallas-Forth Worth International Airport. The 27-mile TEX Rail system is slated to open in late 2018. CXT also counts Sound Transit among its customer base. The Seattle-area agency has tapped the company to provide ties for a number of commuter- and light-rail projects. LT Resources supplied American TieTek composite ties to Archer Western Herzog for the TEX Rail commuter-rail project in Texas. "Transit projects have really kept the machines running for us," said CXT President Steve Burgess. 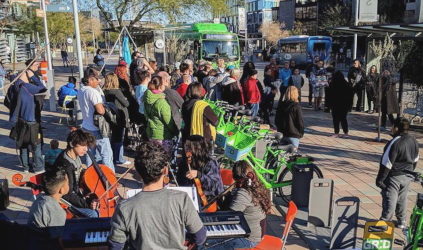 "Transit has been the upside." Despite the general slowdown in spending among Class Is, CXT still receives some orders from those freight-rail customers. The company has been supplying ties to CN for its western regions, for instance. "The CN activity has been quite consistent over the past three years. [The railroad] requests about the same volumes," Burgess said. Still, he acknowledged that the freight side of business isn't quite as robust as it was in previous years. "The boom years of 2014 and 2015 spoiled us, if you will," said Burgess. "The Class Is were doing a lot of work that they’ve rolled back capital wise over the past couple years." Although the vast majority of Rail.One USA's business comes from supplying ties to Class Is, there is "promising potential" in the transit sector, said Chief Sales and Marketing Officer Torsten Bode in an email. Overall, business for the Germany-based company in the past year has been generally stable. In addition, the company observed a slight improvement in freight-rail business compared to the previous year. "However, the demand is not on a level as seen in earlier years," Bode said. On the composite-tie side, business continues to improve, according to representatives from LT Resources Inc. and Axion Structural Innovations. "Certain Class Is realize composite ties are worth the price differential compared to wood for use in high-decay areas," said LT Resources President Linda Thomas in an email. The company serves as marketing and sales representative for American TieTek's composite ties. And as interest increases in environmental and economic sustainability, composite ties have emerged as a viable option for new construction and routine MOW projects, Thomas added. 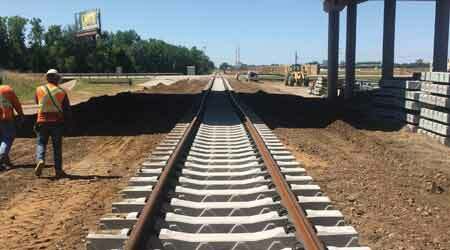 LT Resources is wrapping up a large project for the TEX Rail commuter-rail system. TieTek ties are being installed under all concrete crossing panels and on all bridges on the route. In the meantime, American TieTek continues to expand production capacity. Currently, new facilities are being considered to better serve customers in undisclosed "high-demand geographic areas," Thomas said. For Axion, business has been up so far this year compared to 2016 due to increased demand in special trackwork installations, company officials said via email. 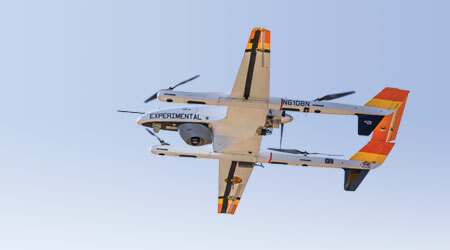 Axion has received a few "major" domestic and international orders, although the company declined to identify the purchasers. As far as production capabilities, the company remains focused on continuing to increase plant capacity in Waco, Texas. For its part, CXT is adding new production space to its facility in Waverly, West Virginia. "The improvements will give us expanded capability in the East," CXT's Burgess said. Meanwhile, Rail.One's plant in Clinton, Iowa, has the necessary reserves for any increases in demand. The company will continue to focus on growing its footprint in North America "on a long-term basis," Rail.One's Bode said. Whatever their long-term plans, concrete- and composite-tie suppliers remain optimistic. "Hopefully next year, we’re talking about all kinds of new stuff," Burgess said.